Add a little fairy tale kitsch to your life with this retro set of Wizard of Oz sew on patches featuring vintage era images of the Tin Man, Scarecrow, Dorothy and all. 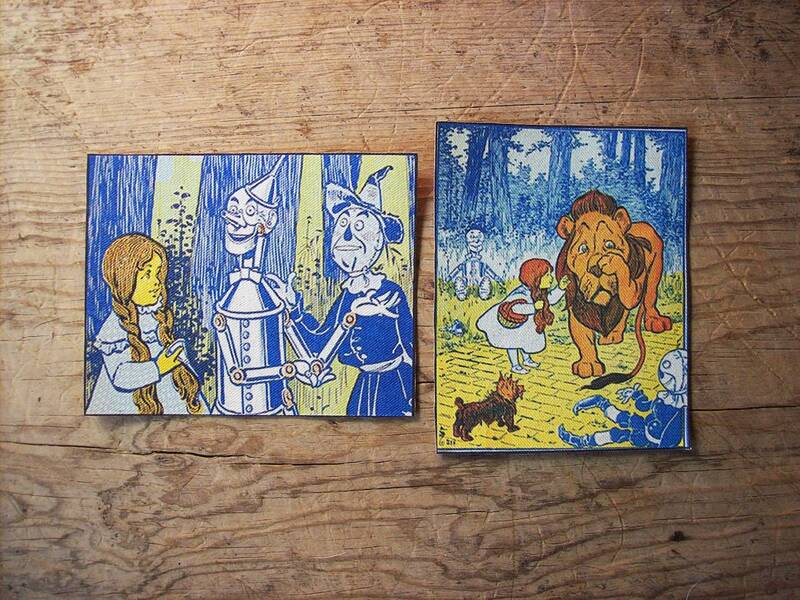 These images are from the first book in the series as written by L Frank Baum and illustrated by W W Denslow. I make my patches by transferring the selected image onto lightweight canvas. Each patch measures just about 3.8" X 4.8". The patches are ready to sew on to the item of your choice and are 100% washable.